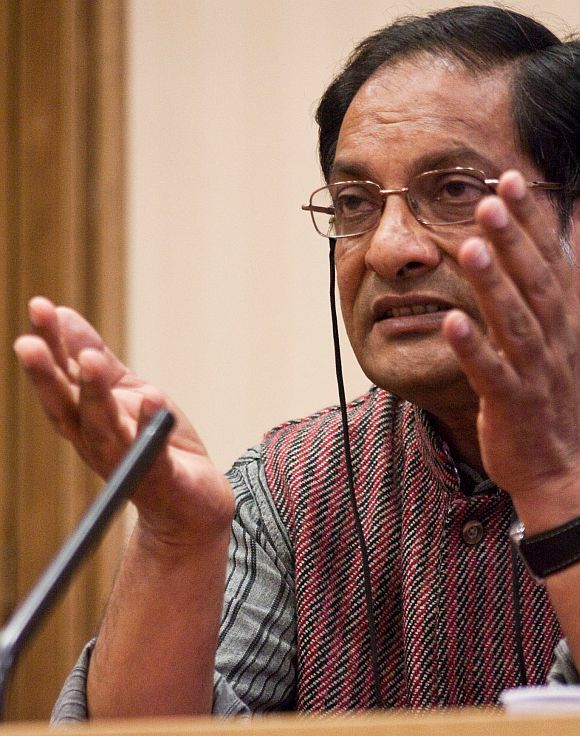 Dr Binayak Sen, a Bengali paediatrician, public health specialist and activist, was jointly awarded the Gandhi Foundation International Peace Award 2011 at the House of Lords, London on June 12 with fellow human rights activist Bulu Imam, a Jharkhand-based campaigner for Adivasi rights and tribal culture. The duo was given the award by UK charity The Gandhi Foundation for their humanitarian work and practice of nonviolence in India. 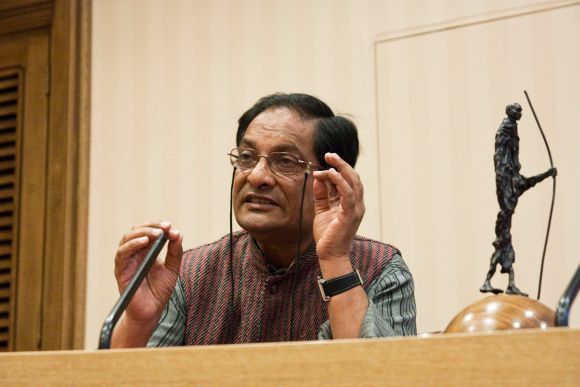 The intention is to honour individuals and groups who have advocated and practised Gandhian non-violence but who have received little recognition for doing so. The event was chaired by Lord Bhikhu Parekh. 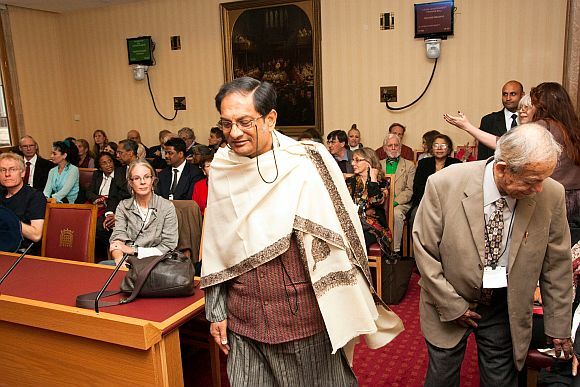 Dr Sen, 62, who is currently facing charges of sedition in India, came to England, with his wife Illina, to receive the Gandhi Foundation International Peace Award 2011. Naomi Canton caught up with him in London during his trip. Are you still facing charges for sedition for meeting with jailed Naxalite leader Narayan Sanyal? What is the state of your court case? I prefer to say a jailed prisoner, as whether he is a Naxalite or not is in doubt. I don't refer to him as Naxalite. There was one single case in which various charges were made against me in 2007. I was jailed as an undertrial for two years and then granted bail in 2009, then convicted in December 2010 by the Raipur sessions court and sentenced to life imprisonment. But in April 2011 the Supreme Court granted me bail and now my appeal lies in the high court. There is no fixed date for my hearing. I don't know when it will be fixed. There is a long pendency of appeals in Chhattisgarh. Where are you living while on bail? What are your bail restrictions? How did you manage to come to England? There areno restrictions on me or my movements as far as living in India, but my passport is held in court and should I wish to travel out of India I have to obtain my passport from the Raipur sessions court and that is what I did. I had to obtain it earlier to travel to South Korea to receive the Gwangju Prize for Human Rights. It was not easy to get it, there were several hearings and I was only granted it for 10 days to undertake this trip to the UK. I wanted to come for longer as there were various things I wanted to do in England, various issues I wanted to discuss and various people that I wish to meet. I am going to The University of Edinburgh to meet various people about various issues such as chronic under nutrition and health policy in India. You spoke about this so-called famine in India in your award acceptance speech at the House of Lords, why was that? About 45-47 per cent of children in India below the age of five are malnourished by weight. 37 per cent of adults in India have a BMI below 18.5. Among Scheduled Castes this is 60 per cent. Among Scheduled Tribes it is more than 50 per cent. The World Health Organisation recommends that if more than 40 per cent of the members of a group or community have a BMI below 18.5, it should be defined as a famine. This is something that in my opinion should be known about by as many people as possible. Leading economists in India have highlighted national public data that shows that grain consumption is declining over time in India. So not only do we have a situation of widespread malnutrition, but the situation is getting worse over time. Is the Indian government doing anything about it? Since it is government data which is publicly available, presumably the Indian government knows about this situation. There is also the 'Right to Food' case in the Supreme Court which contains numerous interlocking orders including the National Food Security Bill which is currently before Parliament. But in my opinion the public distribution system of subsidised and free food in India should not be further categorised and if the current postures to do that are carried through, then the situation will worsen. Right now we have just two categories and I am saying there should be no categories of people. We ought to have a universal public distribution system from which everyone should be eligible to get food and if the very wealthy choose not to use it, then so be it. Or maybe just those people who own four-wheel vehicles should be excluded. The government should not categorise people, that system does not work and that is the experience all over the world -- that it does not work. I have described what we see now as a chronic longstanding famine across large parts of the Indian population. Another point is that the food given out to everyone in India should be grain, lentils and oil. At the moment lentils are not being distributed, only grain is. There is enough grain produced in India for every single person but it is a shameful fact that even though there is enough grain, there are large sections of the community who are hungry. The current entire distribution system is defunct and defective. 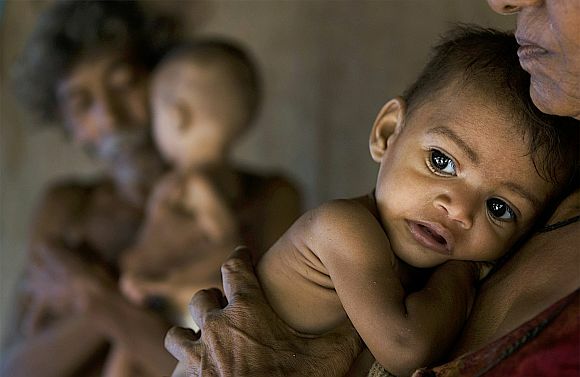 Image: About 45-47 per cent of children in India below the age of five are malnourished by weight, notes Dr Sen.
How else can this famine be addressed in your view? People's food security is related to public distribution, agricultural policy, and livelihood security. However, there are other equity issues that are important. Take the case of the universal healthcare system. The Planning Commission has made recommendation that everyone in India should be eligible to receive appropriate medical care that is free at the point of delivery and is funded out of tax revenues and not insurance. Although we have public hospitals at the moment, you have to buy your own medicines and there are all kinds of other complications and that's why we have asked for a cashless system of healthcare. How hopeful are you of this being achieved? I am hopeful. That's why I am carrying on my campaign on these issues. With political will, a lot can be achieved. I can only be hopeful. Tell me about your health work in the rural-tribal areas of Chhattisgarh state. I have had to stop my health work there and focus on my food and health policies. I am not able to continue the work I was doing earlier. I was carrying out a programme of community-based primary healthcare in some of the forest areas of Chhattisgarh. I was not paid by the people who received the healthcare. I was part of an NGO called Rupantar who was carrying out the work. Is that what led to you being awarded the Gandhi Foundation International Peace Award? How did you get the support of organisations like Amnesty International campaigning for your release? They contacted me. I did not seek their support. There was no process of me trying to get their support. Large organisations and eminent people came forward to support me because they felt there was an injustice committed and they wanted to be part of the process correcting that. 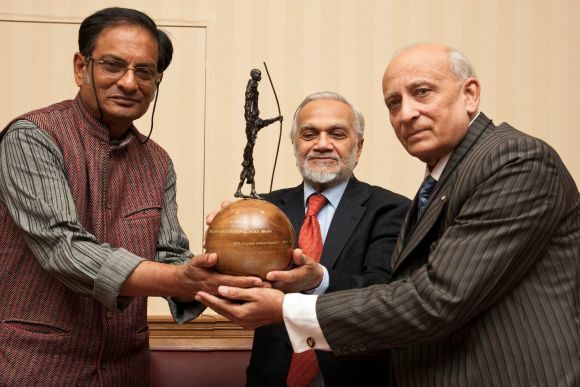 How do you feel about jointly getting the Gandhi Peace Award? It's a major honour and a great privilege to receive the award, but at the same time we also need to recognise the dire situation in respect of the issues I have been trying to highlight in respect of food and healthcare in India and also the many thousands of people languishing in Indian jails who have also been falsely accused of crimes who do not have recourse to speedy and accessible justice. I am very grateful to the Gandhi Foundation for giving me the award. Will this award make any difference to speed up your release? Will you get cleared of all charges? Will it help you in promoting your causes and humanitarian work? I hope that it will highlight the issues that I have been trying to highlight. I certainly hope it will help me in my quest for justice, but it's only a hope. Do you deny all the charges against you? Yes. I deny all the charges against me absolutely, and in my case there is no evidence to prove any wrongdoing and that has also been confirmed by various distinguished commentators. What has kept you going through these difficult times? I am part of a much larger process and I have many friends dedicated to the cause of justice who have helped me and my family sustain itself through this trying period. The process is not over yet but I am continuing whatever campaigns that I am engaged in. How about your wife Illina? My wife is not only my wife but also my comrade and so her contribution to this whole process has been as great, if not greater than mine. What was it like in an Indian jail? It's a very trying experience but there are lots of other people in a similar situation, so it's not my unique privilege. Image: Large organisations and eminent people came forward to support me because they felt there was an injustice committed, says Dr Sen.